Helioscreen offers a wide range of external sun control systems to complement every external façade. External Screens are designed to take the toughest of treatments by reducing the sun’s penetration and absorbing the heat. Designed to control the entry of natural light, heat and sun radiation from the outside, External Screens allow you to extend outdoor living areas while maximising the advantages of glass and view from the inside. Unaffected by extreme temperature changes, External Screens operate using discreet stainless steel side cables or sleek aluminium side channels, powder coated to suit any exterior. 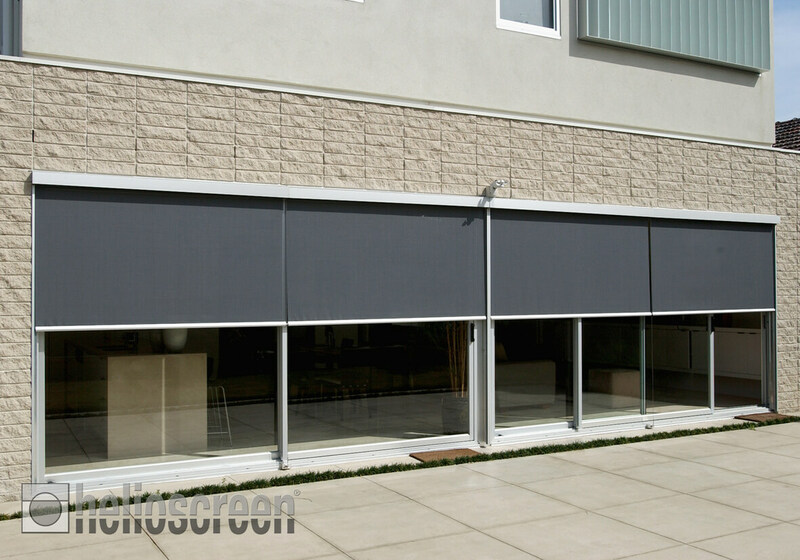 Helioscreen’s external fabrics, Helio86, Helio93, and X-Screen come in a wide range of colourways and are anti-static for easy cleaning. External screens can be manually operated or motorised by Somfy and come with quality and performance warranties. As with many of our products we have a range of systems to suit various needs. Below is a rough guide on how to best select a system for your individual needs. We recommend consulting with a Helioscreen Specialist before deciding on which system best suits your needs. Click on a Product Name to learn more.